The Student Academy Awards. This annual set of honors given to students enrolled in major film schools across the country may not get the same national recognition each year as the Oscars, but it’s often a good sign of things to come: Spike Lee (two-time Oscar nominee, Student Academy Award winner in 1983). Robert Zemeckis (Oscar-winner, Student Academy Award winner in 1975). Pete Docter (two-time Oscar-winner, Student Academy Award winner in 1992). Then there’s the short films that had the prestigious honor of being nominated for a Student Academy Award and an Oscar in the same year. As a film student, the Student Academy Award is one of the top honors you can receive. It’s also a pretty sure bet that your career as a short (or feature) filmmaker will never be the same after being in the running for this prize. So whether you’re applying to film schools this year, already enrolled, or just curious, check out which film programs have led their students to the most Student Academy Awards wins in the last 10 years. If you’re interested in making animated short films that get the attention of the Academy, you might want to think about studying in Utah instead of California. All of Brigham University’s 3 Student Academy Awards since 2008 have come in the animation category. Their most recent win came in 2014, with the delightful animated short Owned by Wesley Tippets and Daniel Clark. While BYU’s fine arts program is still renowned for their theater department, we think the incoming classes in animation (currently labeled “Media Arts”) will only further make this university a film powerhouse. It’s a lesser-known film school based in a place not known for film production: Washington D.C. The three wins for this school since 2008 have all come from the documentary category, so this is obviously a premier place to tell real stories and have them land emotionally. It seems like each year documentaries are becoming more and more mainstream (and making more and more money at the box office), so there’s no doubt that only more key talent will be drawn to this film department. What better place to catch real (or surreal) stories than in the nation’s capitol? UT-Austin’s film department is growing about as rapidly as the city of Austin itself. It’s been around though since the 1920s, when it was just a radio department. Though “radio” is still in the name (Radio-Television-Film), film classes have become some of the most popular on campus. UT-Austin has, in particular, become a major hub for narrative short films, winning awards in the category in 2011 and 2012. This year also saw a nomination for the school in the narrative category. If you want to follow in the footsteps of famous alum like Matthew McConaughey and Wes Anderson, 2018 is as good a time as any. Usually listed after the two other New York titans of film (see later on this list), CCNY is nevertheless a school becoming known for bringing in and training high-quality filmmakers. Believe it or not, it’s one of the oldest film schools in the country, and the only public institution in NYC to offer an undergraduate degree in film. If you’re looking for a holistic look at all kinds of media, or looking to branch outside of the traditional film school track, this could be a great program for you. The diversity of its offering have been proven in the fact that the school has won a Student Academy Award in 3 major categories. This intellectual powerhouse is one of the most interdisciplinary film programs in the country. If you’re as interested in studying the theory and history of filmmaking as you are in making them, this should be on the top of your list. However, they’re no slouch in filmmaking either, as they’ve netted as many Student Academy Awards as many other production-emphasis departments on this list. It is the mission of UC-Berkeley that the future of film isn’t just happening in Hollywood, but happening in business, technology and many other disciplines. With the democratization of digital filmmaking, this university may have gotten the future the most right of all. UCLA’s Archive and Research Center boasts one of the best film preservation programs in the country. If UC-Berkeley proved that knowing your film history and theory is as important as knowing your c-stands and apple boxes, then UCLA is showing us that you should know all of it equally well. Perhaps no other film school (outside of NYU and USC) has as many legendary alum. Yet it’s only getting stronger. The UCLA Film-And-Television Archive boasts one of the best film libraries in the country (and possibly the world), meaning you’ll get to see films screened here that just aren’t possible to see anywhere. And if you don’t think that’s a tangible advantage, remember that the best directors start by imitating the works they’ve studied. Though their production major may not be as involved as others, you can expect the resources available to you (equipment and facilities) to be state-of-the-art and only getting better. Chapman’s Dodge College of Film & Media Arts is quietly putting Orange County, CA on the map for film school education. This famously hands-on program is all about jump-starting your career. In one of its most unique features, Chapman requires its students to declare a specialized track by their Sophomore year. That means only the most intentional and driven students will thrive here. But perhaps that’s why they’ve managed to win and be nominated 6 times for Student Academy Awards in just the last 3 years. If you’re serious about your craft, know exactly what you want to do in film and are chomping at the bit to participate in student projects with some of the highest production values in the country, look no further. If the idea of collaborating and working in a very stimulating creative environment is what intrigues you most, then you need to look into Cal Arts. Originally started by Walt Disney and his brother Roy, this was meant to be a fine arts school unlike anyone other: one that thrived on collaboration and tearing down the walls that usually divide disciplines. This means that directors and writers and critical thinkers and musicians and dancers have all been sharing space and working together on projects since the 1970s….and the work’s been to great acclaim. Since this was a program started by Walt Disney, it should be no surprise that all 6 Student Academy Awards are in animation. Some of the most amazing young animators are here, but so are their key collaborators too, making for short animation that relies on story, music and pacing to add to the already-incredible visuals. Besides the Stanford name, any and all directors only wanting to do short-form documentaries can find no better destination. Every award received since 2008 has been in this category. Of course, an MFA in Documentary Film & Video is the only production-emphasis major they have. But it’s always better to do one thing well than many things poorly or mediocre. Alumni projects have gone on to screen through major distribution channels (PBS, New York Times) and toured all of the major festivals. And they don’t just let anyone in. Only 8 new students are admitted each year. 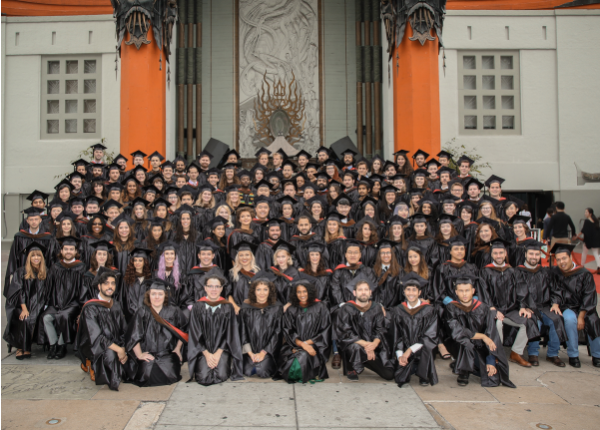 AFI class of 2017 poses in front of the TCL Chinese Theater. This hallowed conservatory is the place of Hollywood legends. Terrence Malick. David Lynch. Patty Jenkins. The list of alumni goes on and on. Thankfully this film program isn’t suffering from a case of “things were better in the old days”; AFI still thrives as one of the top destinations for directors serious about their craft and starting a big-time Hollywood career. They’re the only school to sweep the narrative category in a given year (2015). Nearly every year since 2008 they’ve had someone in the running for best narrative short of the year. This is THE place for story-based cinema. Here’s a little something for all you that don’t want to necessarily do the Hollywood route. Perhaps they want to make something a little more off-the-beaten-path, more rough around the edges and something that’s all about taking chances with form and style. Then the School of Visual Arts might be the haven you’re looking for. Originally a design school in Manhattan, they now boast dozens of fine arts programs, including many animation and film majors. The students from this school have won more awards in the Alternative category (4) than any other college, university or art school over the last decade. Into surreal or avant-garde animation? Time to head to Manhattan! It’s a four-year accredited college in Sarasota, Florida that may just be the best-kept secret in filmmaking. All 9 wins came in the animated category, making Ringling the king of short animated films. The formula for success? Incredibly talented (and decorated) faculty, state-of-the-art focus on the latest entertainment technologies and incredibly driven animators who have gone on to work for some of the biggest names in animation (Pixar, Blue Sky, Halon Entertainment) and win many more awards than just the Student Academy ones. If awards history is any indication, Columbia may be one of the best balanced film programs. They’ve nearly split the number of documentary and narrative awards they’ve received over the last 10 years, and it’s a testament to having such strong departments in both emphases. The faculty pride themselves on being working professionals, so all the training their students get is as relevant and up-to-date as anywhere. Columbia’s award-winning talent also benefits from going to one of the world’s best universities, meaning they’re getting a world-class education to go along with their film expertise. Smart thinking turns into smart ideas turns into smart scripts and directors and cinematographers, etc. The awards count doesn’t lie. 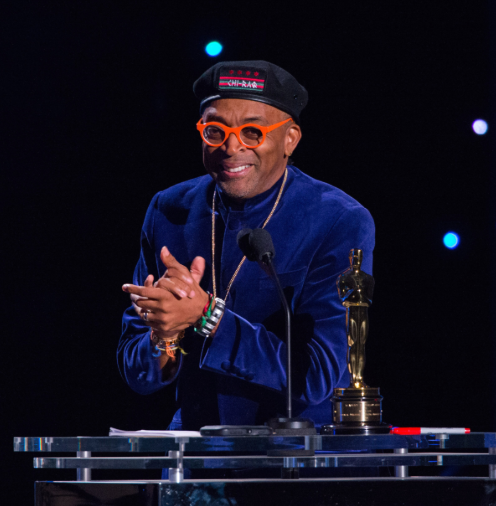 Famous NYU alum Spike Lee receives an Honorary Oscar. Yes, the film school king of the East coast is well-represented here, being only one of two film schools in the entire United States to rack up double-digit Student Academy Awards over the last 10 ceremonies. It’s easy to get caught up in the iconography of the place. Spike Lee. Martin Scorsese. These are directors so indelibly linked to the school that helped make them who they are. Yet, once you take off the rose-tinted glasses, you may be amazed to find just how well the Tisch School is performing in 2018. NYU’s signature film program still remains one of the most competitive in the world, meaning only the best of the best get in. Then there’s the incredible faculty (especially the professors emeriti) that’s there not to boss students around but to guide and encourage them into whatever best feeds their creativity. Finally, there’s New York City itself: an incredibly iconic place to shoot. Having the NYU name attached to your project can do wonders for making connections, finding resources and knowing that your film has a huge chance of being up for some major awards at the end of the year. 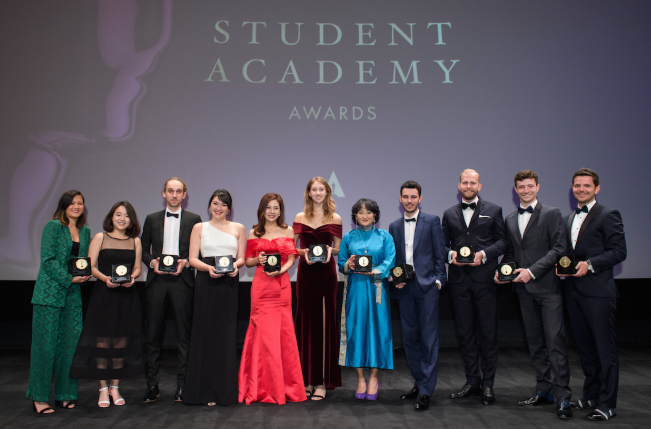 USC students won 4 of the 19 total awards at the 2018 Student Academy Awards. It’s The Grandaddy Of Them All. No, not the Rose Bowl. Though we are talking about the university that holds that iconic game every year. The University of Southern California is perhaps the only film school that truly needs no introduction. It’s been around for almost 100 years now, and it’s only shown signs of getting stronger. Thanks to big-time donors and major creative heavyweight at the helm (George Lucas, Robert Zemeckis), USC has one of the most stunning, state-of-the-art campuses you’ll find outside of a major Hollywood studio. And lest you think they’re just resting on their laurels, you should know that USC is constantly pushing into the frontier of animation, CGI, VR and film exhibition. There is no new technology, equipment or film venue that USC students are not already getting to try out. 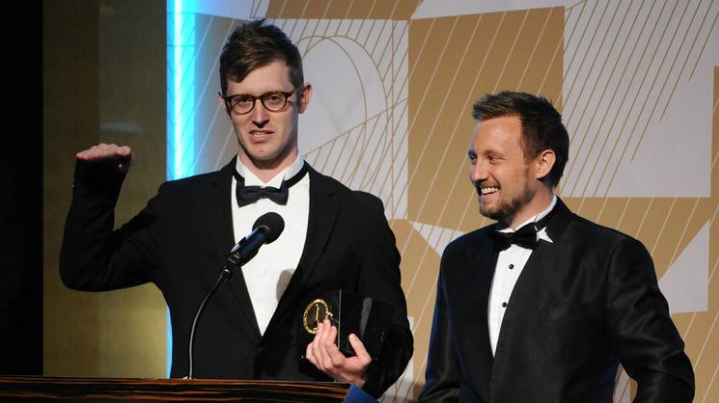 So we have to assume all of that innovation, along with world-class teachers, the best film school facilities and a track record of student success that’s nearly unparalleled, has made USC far and away the most award-winning film school for short filmmakers.